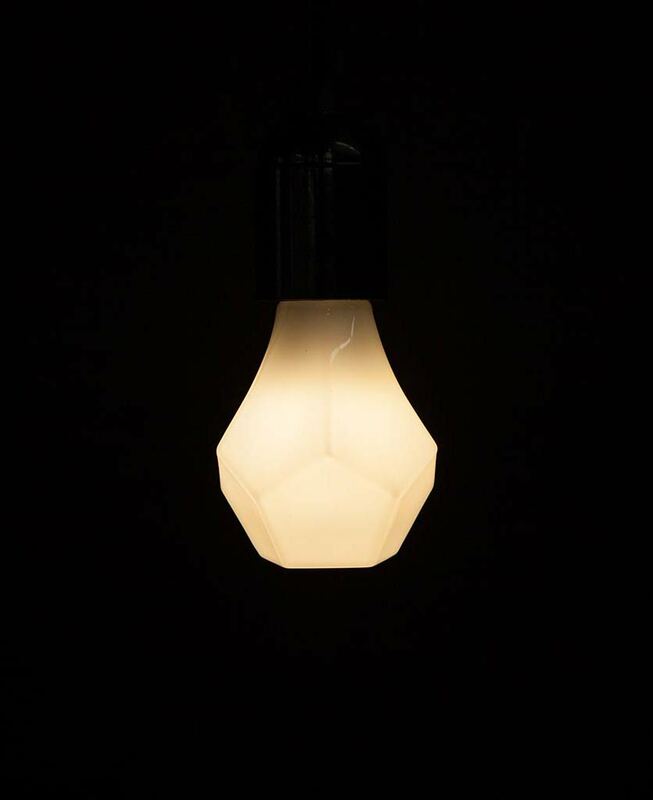 Our GEM designer LED lightbulb is beautifully designed; a stunning fusion of design and energy conservation. It has a sleek and elegant glass finish in an eye-catching gem shape – hence its name. Its multi-faceted surfaces come together to form a most unusual geometric bulb shape – one that just has to be shown off. 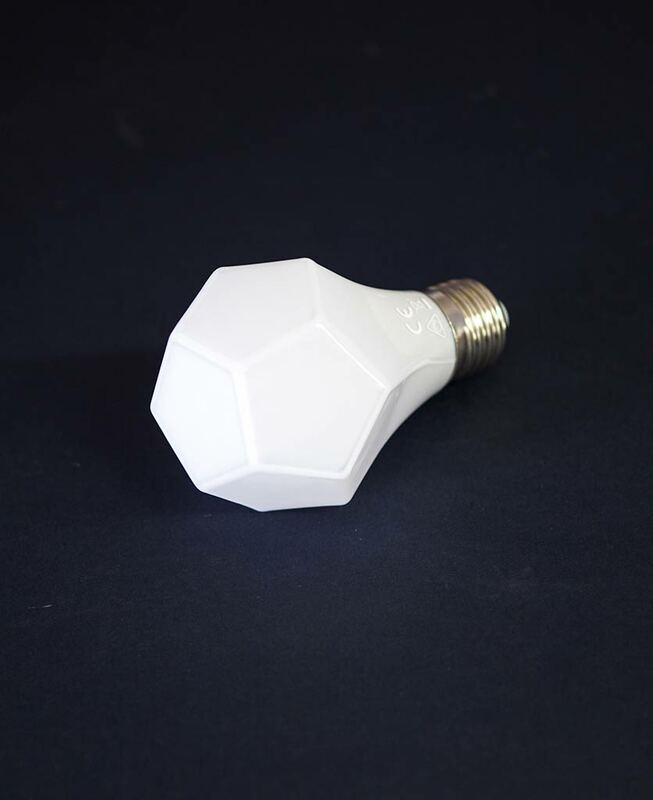 Our designer LED lightbulb GEM is a most unusual shape for a bulb and that is just one part of its attraction. Not only does it look amazing, it also has all the energy efficiencies of LED technology. LED bulbs generally are superb value for money and this one has a total lifespan of up to 25,000 hours. That’s approximately 23 years with an average use of three hours per day – you do the math! We love to showcase the warm white light of this designer LED gem shaped bulb in one of our geometric lampshades – it’s shape is totally sympathetic to the geometric lines of the shade and it cascades a beautifully soft light. Alternatively, it looks great hanging on its own as a focal point simply with a length of our gorgeous fabric cable. This LED light bulb is also fully dimmable so can be adjusted to create a multitude of moods. Although opaque this LED light bulb is still made of glass but rest assured it’s shatter resistant for added safety and longevity. 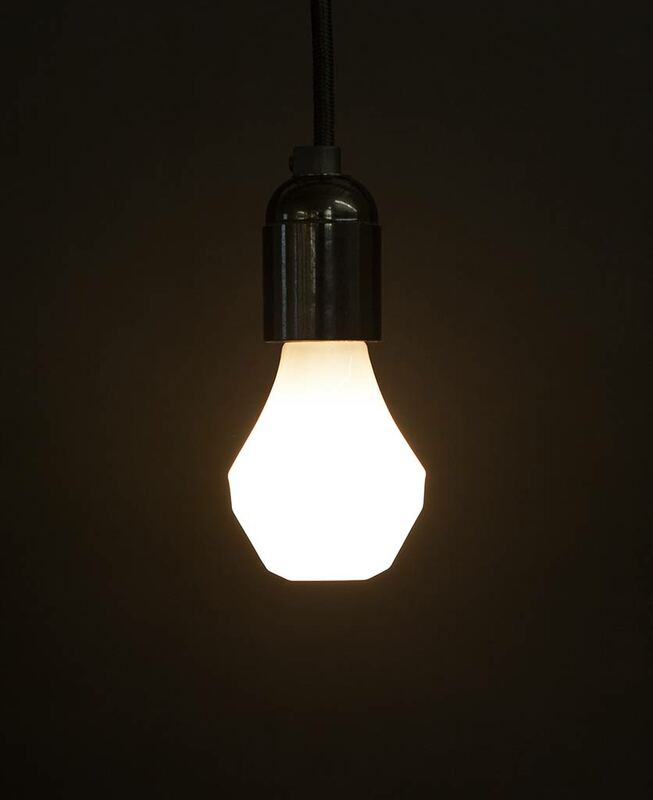 Its gem-like shape should really be shown off – it’s a feature bulb rather than one to hide away under a shade. It gives out a lovely diffused warm white light that’s perfect for creating a relaxing ambient atmosphere. Would be great in a bedside lamp.